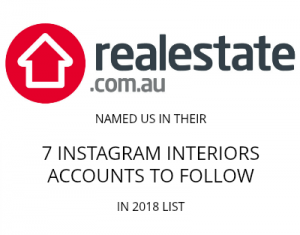 New interior trends are emerging and taking over all the time, but embrace them too late in the game and spaces can feel dated – even if they’ve just been newly built or renovated. Because bathrooms are such an expensive room, you want to create one that will last the distance. These are the much-loved bathroom trends that have hit their used by date. Sorry, we have to say it, but the trend of using feature tiles behind your wall niche or coloured angles around your niche is over. Niches are a functional element that should blend into the wall — do you really want to highlight your shampoo bottles in the shower? 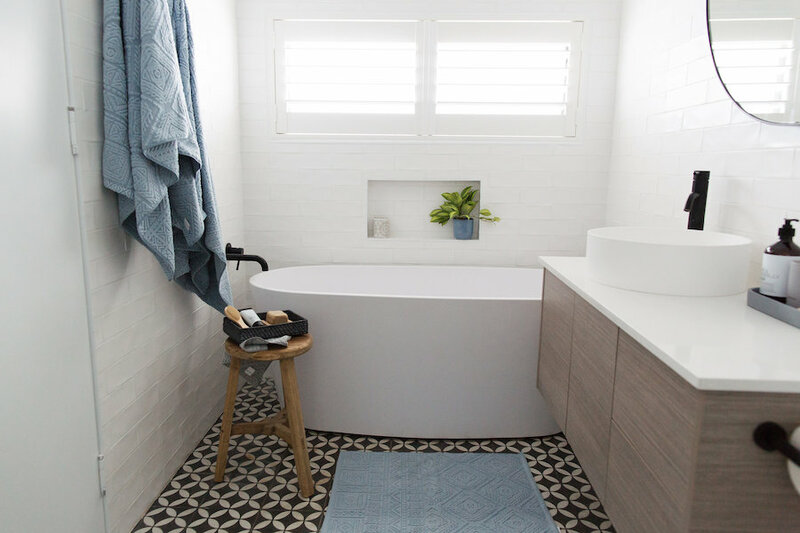 Some people argue that a feature tiles creates design fluidity in a bathroom, picking up the accent colour and repeating it across the room, but there are other, more elegant ways of doing this. For example, using bathroom décor that picks up on the colour, or even a stylish pot with an indoor plant. Alternatively, just make the whole wall a feature! Love this bathroom by Hans and Courtney on The Block… except for those niches! A huge trend of the 90s that continued through to the 2000s is high gloss — cue car showroom vibes! 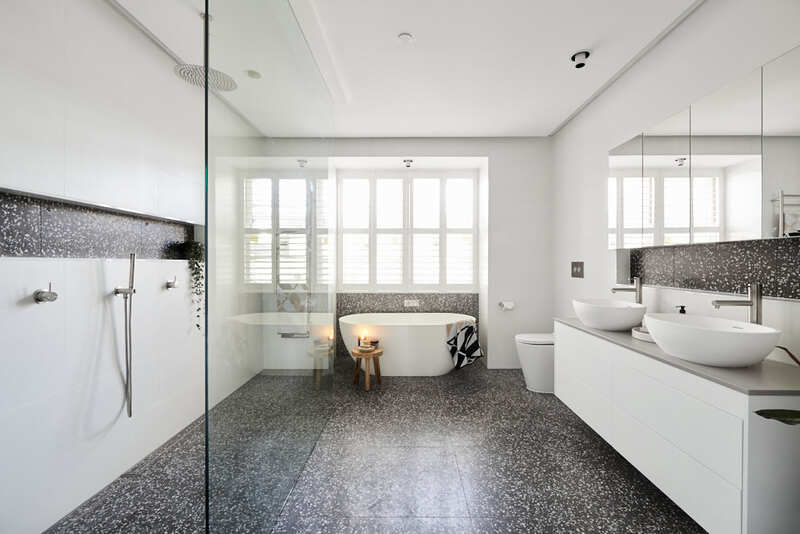 The future trend in bathrooms is a return to more natural and organic colours and finishes so please, think again if considering a high gloss tile (note: we’re not talking about subtle gloss or lappato finishes here). Let’s put LED strip lighting errrywhere! You know this crazy trend of over-lighting your bathroom — it’s time to say good-bye to it. Instead, think about the lighting statement you want to make and just make that. 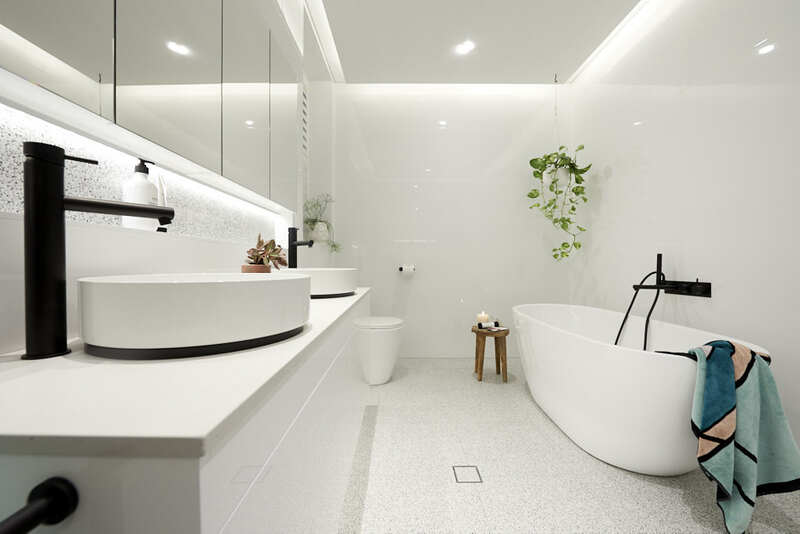 We recently had Illumination Designer James Nagel on to share his expert tips on how to light your bathroom, check it out here. More is not always more — especially in the bathroom. Or as Neale Whitaker would say ‘Luxury shouldn’t feel cramped’. To create a more luxe feel in your bathroom, allow free space around your vanity and bath to let these pieces ‘breathe’. Just because you can squeeze a bigger vanity or a bigger shower in, doesn’t necessarily mean you should. Consider the space as a whole and ensure it’s in scale before sizing up. Unless you’re opting for an encaustic or feature tile on the floor, do away with smaller sizes such as 300×300. The new design direction of tiles in bathrooms is ‘bigger is better’. While 450×900 was considered big for a while there, we’re seeing even larger tile sizes become the norm. There’s a huge range of 600×1200 tiles on the market now and even 3000×1500! Are there any other bathroom trends you’d like to see left behind in 2018? Tell us in the comments below! Previous article10 of the best floor, wall, table and pendant lights… that won’t break the bank!